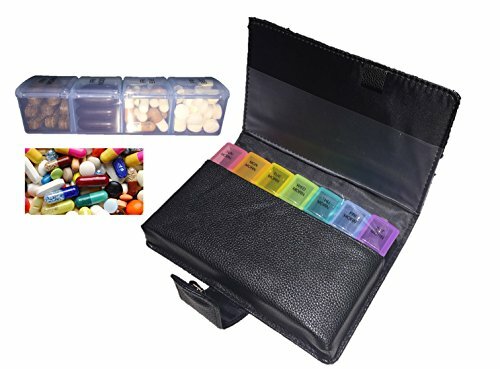 You’ll never have to worry about forgetting to take your medicine when you travel with the convenience of the MEDca weekly pill organizer case. Simply click ADD TO CART to order yours today! It’s that simple! 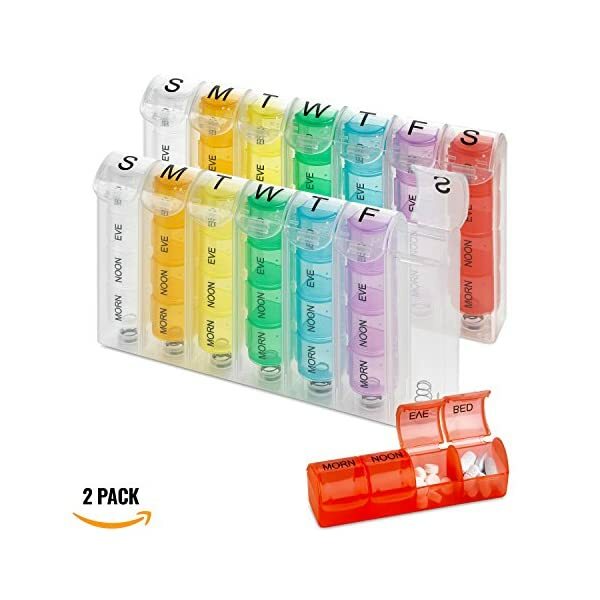 ✔ PACK OF 2 – WEEKLY PILL ORGANIZER BOXES: Our larger size 7 compartment pill organizer is the perfect helper for tracking your medication plans in daily life. The MEDca Pill Organizer is made translucent food grade PP material, thats odorless and BPA free. 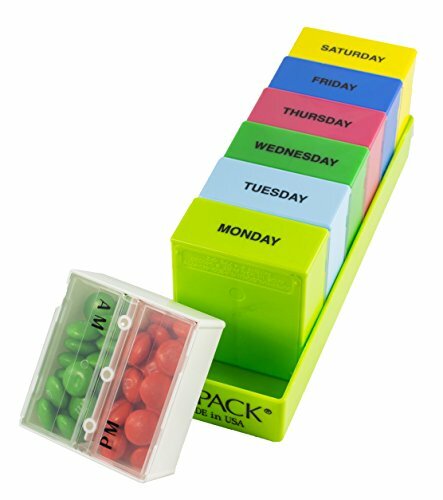 ✔ EASY TO READ JUMBO LETTERS: The bold Monday-to-Sunday markings on each pill case are ideal for assisting you to allocate the medications of an entire week in order. 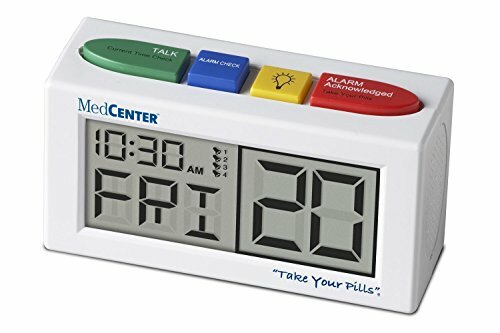 When it comes to your medication organizer we want to make sure you avoid mixing up medication when taking your pills of one day. 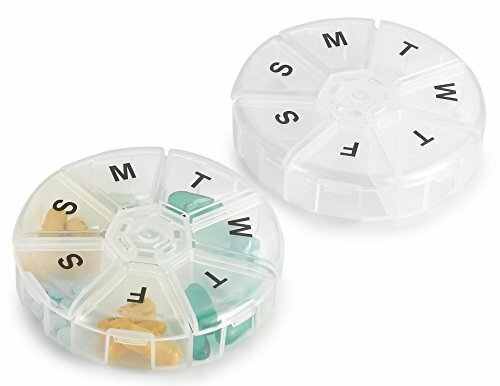 ✔ INDIVIDUAL COMPARTMENTS: No more mixing pills together or mixing up the days. 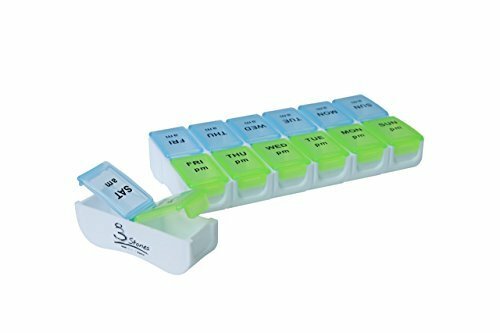 Each compartment of this pill organizer box is separate and opens on its own to help keep your everyday pills neatly organized. Excellent living aid for the elderly, seniors and all ages. 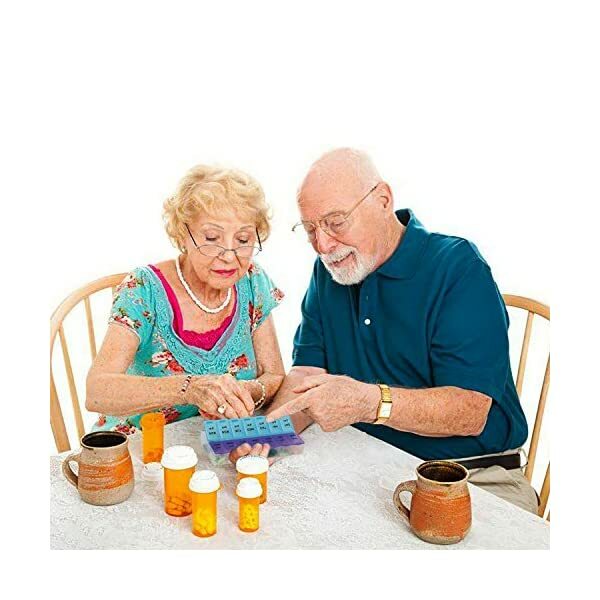 ✔ BEST PILL ORGANIZER FOR TRAVEL: This pill case makes for a great traveling companion. Large enough to fit even the biggest vitamins or pills with extra room left over. Making the an ideal MEDca round pill container or vitamin dispenser. ✔ STRONG AND DURABLE: Airtight Seal and securely locks so pills will not spill out. 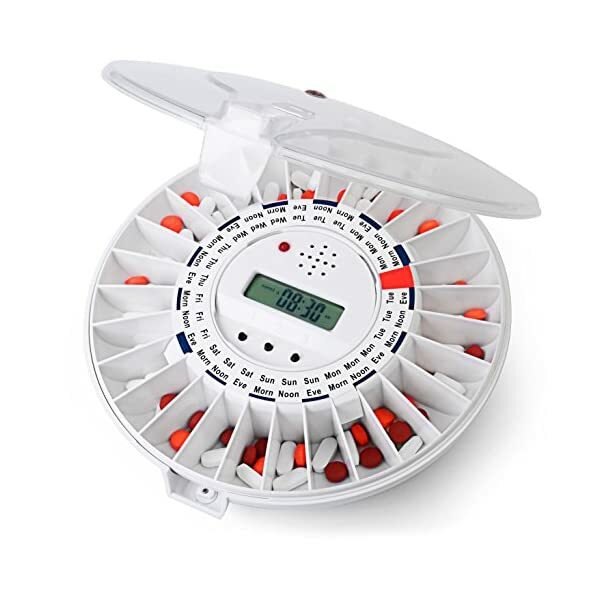 Our pill reminder is made of rugged and durable translucent plastic. It won’t break easily even if mishandled. 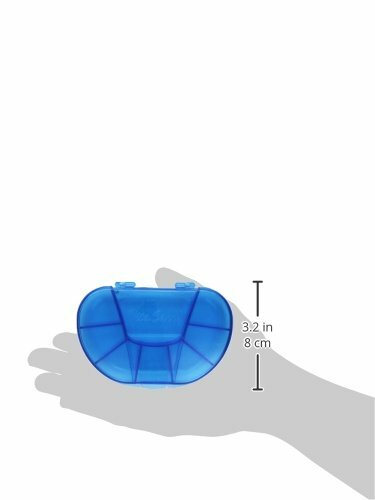 This pill holder is the perfect size and weight for everyone and is guaranteed to last you a lifetime.